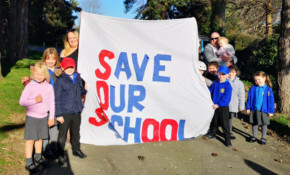 Cllr Brading said the final decision on whether All Saints closes will be his but that formal decision to launch a consultation had not yet been made. West Wight Men In Sheds have been given a ten-year lease by Totland Parish Council, but now need help converting changing rooms into a workshop. Owners of the care home say they've brought in a new management team who are making significant ongoing improvements. The CQC say further improvement is needed. Our thoughts are with the man's family and friends after a body was found near Totland Pier earlier this morning. This gorgeous burst of colour of heather on Headon Warren in the Flickr Pool by Benjamin Tonner caught our eye, so we made it our Picture of the Week. Taking place on 2nd June between 11am – 3pm, this initiative by Totland Parish Council aims to help combat plastic pollution. This coming Saturday night, The West Wight Slipshod Singers will perform with a special guest soloist at Christ Church, Totland in a Poppy Day Appeal Concert. The death is not being treated as suspicious at the moment, but police continue to investigate and a cordon is still in place. Totland parishioners have raised over £500 in a bid to help transform communities around the world as part of the aid agency CAFOD’s Lent campaign. Two performances, which will be held in Christ Church, Church Hall, Totland Bay, have largely been organised by James Malia and aim to raise funds for aid agency CAFOD’s refugee appeal.